What is Nylon, and What is it Used For? Nylon is a synthetic thermoplastic linear polyamide (a large molecule whose components are bound by a particular type of bond) that was first produced in 1935 by American chemist Wallace Carothers who was then working at the DuPont research facility in Delaware. Wallace produced what is technically known as Nylon 66 (still one of the most common variants). Demand for Nylon in particular and synthetic materials in general grew during World War II when natural items like silk, rubber, and latex were in significantly shorter supply. Nylon is used for a variety of applications to include clothing, reinforcement in rubber material like car tires, for use as a rope or thread, and for a number of injection molded parts for vehicles and mechanical equipment. It is exceptionally strong, relatively resistant to abrasions and moisture absorptivity, long lasting, resistant to chemicals, elastic and easy to wash. Nylon is often used as a substitute for low strength metals. It is the plastic of choice for components in the engine compartment of vehicles because of its strength, temperature resilience, and chemical compatibility. Nylon can also be combined with a large variety of additives to produce different variants with significantly different material properties. Here is a look at a composite gear made of both Nylon and carbon. Nylon is commonly referred to using the chemical designation “PA” (e.g. PA 6 or PA 6/66) and is most commonly available in black, white, and it’s natural color (off white or beige). Perhaps the most common variant for engineering applications is Nylon 6/6. Nylon 6/6 can be extruded (melted and forced through a nozzle) and is therefore a good plastic for both injection molding and 3D printing. It has a high melting temperature making it a wonderful substitute for metals in high temperature environments (e.g. under the hood in a vehicle). The material’s downside is that it has relatively low impact strength (even when compared to other plastics, see the chart below). The following diagram shows the relative impact strength of Nylon when compared to the impact strength of other commonly used plastics such as ABS, Polystyrene (PS), or Polycarbonate (PC). 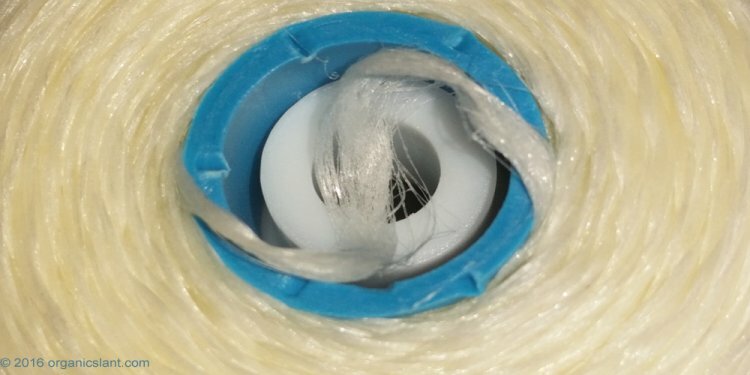 Of note, the impact strength of Nylon can actually be improved by a process called “conditioning.” For this reason as well as the ease with which Nylon can be combined with other materials to improve its strength, it is important to check the material properties of the specific Nylon composite you are using. What are the Characteristics of Nylon? Now that we know what it is used for, let’s examine some of the key properties of Nylon (PA). Nylon is a condensation copolymer that it is composed of several different monomer types in combination with one another. It can be produced in a variety of ways, typically starts with distillation from crude oil, but can also be produced from biomass. Nylon is classified as a “thermoplastic” (as opposed to “thermoset”) material which has to do with the way the plastic responds to heat. Thermoplastic materials become liquid at their melting point (a very high 220 degrees Celsius in the case of Nylon). A major useful attribute about thermoplastics is that they can be heated to their melting point, cooled, and reheated again without significant degradation. Instead of burning, thermoplastics like Nylon liquefy, which allows them to be easily injection molded and then subsequently recycled. By contrast, thermoset plastics can only be heated once (typically during the injection molding process). The first heating causes thermoset materials to set (similar to a 2-part epoxy) resulting in a chemical change that cannot be reversed. If you tried to heat a thermoset plastic to a high temperature a second time it would simply burn. This characteristic makes thermoset materials poor candidates for recycling. Why is Nylon used so often? Nylon is often used in gears, bushings, and plastic bearings because of its inherent low-friction properties. Nylon is not the most slippery plastic available (typically we recommend acetyl if low friction is the only consideration), but it’s high performance in other mechanical/chemical/thermal properties make it a good choice for parts that could see a lot of wear. Consumer products (e.g. toys). We worked on a scooter in the past that was eventually molded in glass-filled nylon. 3D printed models for high heat applications when ABS is not an option (although this is an option we typically use Nylon composite materials more for their strength and less for their temperature performance when 3D printing). What Are The Different Types of Nylon? Although Nylon was discovered and originally patented by Dupont’s Wallace Carothers, it was produced (as Nylon 6) three years later (in 1938) using a different methodology by German research chemist Paul Schlack, then working at IG Farban. In the modern era it is manufactured by a large number of firms, each typically with their own production process, unique formula, and trade names. You can view a full list of material manufacturers here. Common variants include Nylon 6, Nylon 6/6, Nylon 66, and Nylon 6/66. The numbers indicate the number of carbon atoms between acid and amine groups. Single digits (like “6”) indicate that the material is devised from a single monomer in combination with itself (i.e. the molecule as a whole is a homopolymer). Two digits (like “66”) indicate that the material is devised from multiple monomers in combination with each other (comonomers). The slash indicates that the material is made up of different comonomer groups in combination with each other (i.e. it is a copolymer).